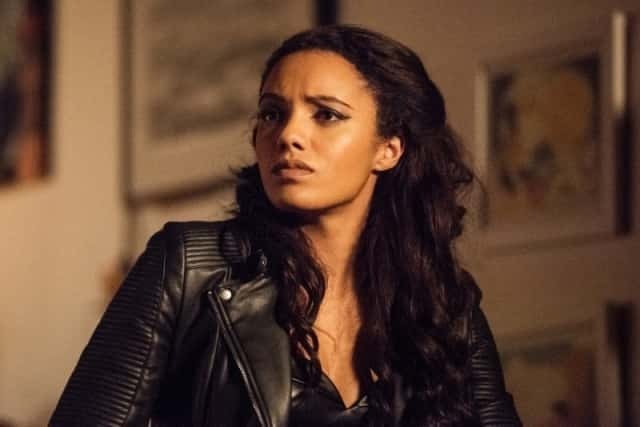 Maisie Richardson Sellers is a British actress, director and Oxford graduate. Coming from a family of stage actors, she has been in show-business since childhood. She has directed plays in the U.K. and appeared on stage and screen in multiple roles. Viewers will recognise her from the CW series The Originals, the ABC show Of Kings and Prophets and, of course, as Amaya Jiwe/Vixen on DC’s Legends of Tomorrow. 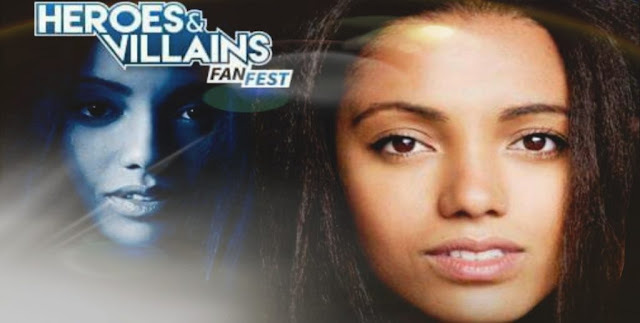 She was back in London for the incredible Heroes & Villains FanFest last weekend, where I was fortunate enough to speak with her about her character and the show. Steve J. Ray: Good morning Maisie. Welcome home and congratulations! Thank you for brilliantly representing the U.K. on Legends Of Tomorrow. 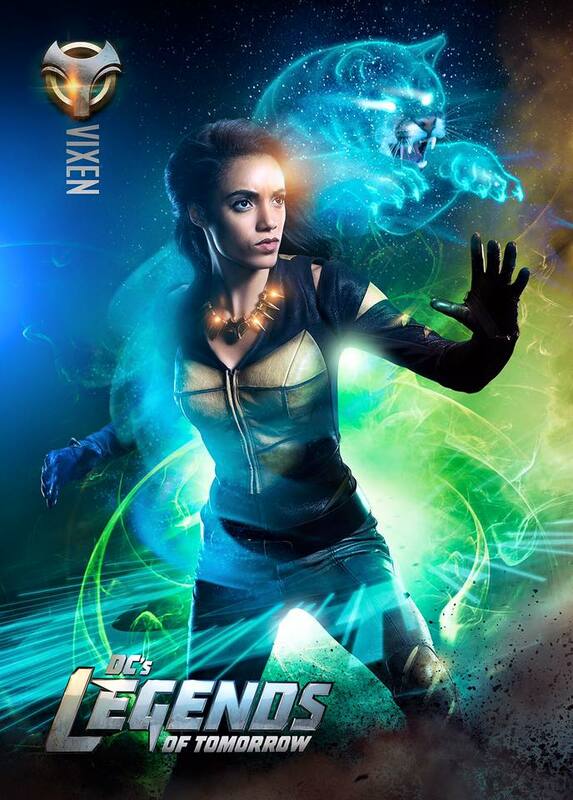 Maisie Richardson Sellers: Thank you! It’s so great to be home. Yes, the Brits are taking over! SJR: I know! You and Franz (Drameh: Firestorm) on Legends, Paul Blackthorne (Quentin Lance) on Arrow, and Sean Pertwee (Alfred) in Gotham. You guys are just killing it. 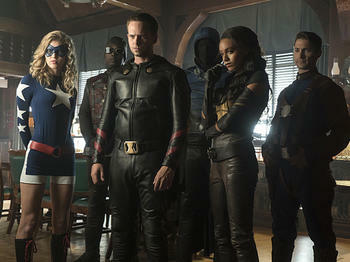 SJR: Did working on Legends spark an interest in comics, or were you a fan already? MRS: I was always aware of the comics, I mean… who doesn’t know Batman and Superman, right? What I didn’t realise was the wealth, richness and diversity of some of the lesser known characters. The wealth of amazing female characters. SJR: DC has some amazing female characters. I’d say the best in all of comics. 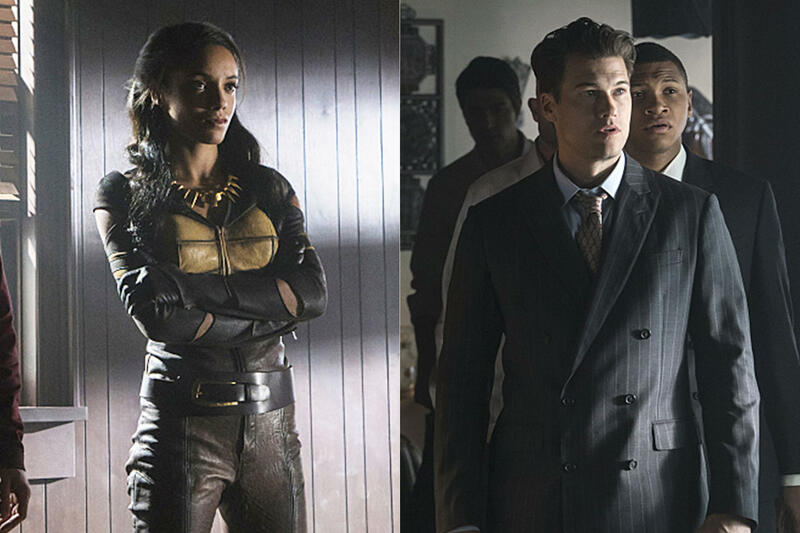 SJR: The cast of characters and actors in Legends Of Tomorrow is fantastic. Are there any more characters you’d like to see on the show? MRS: We did the huge Invasion Crossover, where almost everyone from all four shows appeared, that was so much fun. I definitely want to do more of that. There were some people that I think could’ve been there in bigger roles, that weren’t as much as I would’ve liked. SJR: I know I would’ve liked to see all the characters, but even doing what you did was incredible, and must’ve been a logistical nightmare. MRS: Oh, wait ’til the next one! SJR: I’m excited already! So who did you miss that you wanted to be in it? MRS: Emily (Bett Rickards: Felicity Smoak). I’d love to work with Emily and do scenes with Felicity and Amaya together, We’ve not had that. MRS: In fact, I’d love an episode or crossover with just the ladies. Vixen, Sara, Supergirl… all the girls going on a mission on their own. That would be so great! SJR: I’d watch the hell out of that, it would be awesome! SJR: I’ll look forward to seeing that. Thanks so much for talking to me. Keep representing and keep up the great work. MRS: Thank you. Keep watching! The best is yet to come. It was a joy talking to Maisie. I remember when I first saw her being interviewed, on U.K. television. I was stunned when I heard her speaking in her own accent, as I didn’t even know she was British back then! Paul Blackthorne and Franz Drameh’s performances had a similar effect on me. Acting! All these actors truly become their characters. I’m definitely going to be tuning into Legends, Arrow, The Flash and Supergirl when the shows return. I can’t wait!